Two of my pieces will be in a printmaking show that opens tomorrow (Saturday) at the Art Gallery of Nova Scotia – Yarmouth branch! 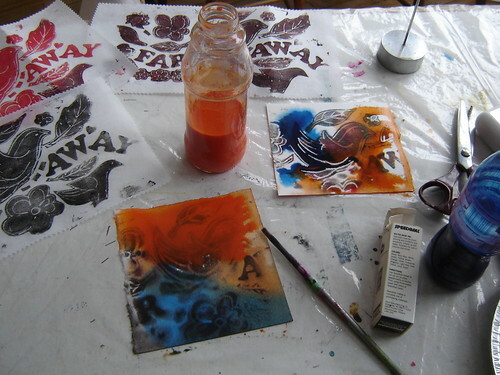 Printmaking with Foam and a Ballpoint. 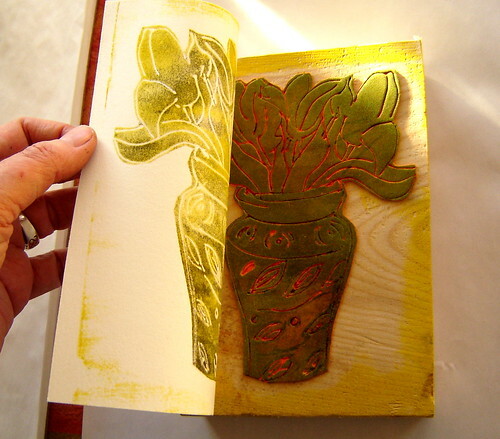 Tulip print and printing block. 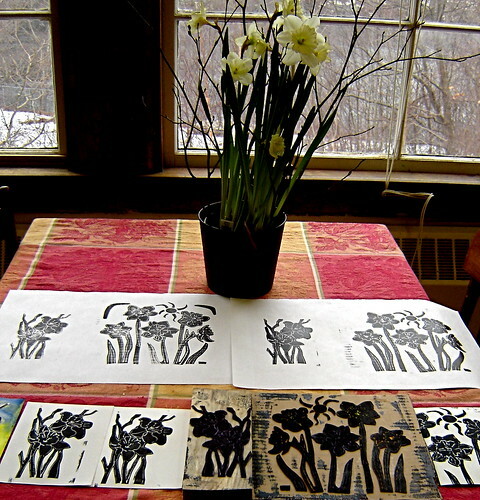 I have always loved printmaking. Maybe I have in my blood. My father was a Linotype operator and my mother was a writer and an artist who painted with oils and pastels. 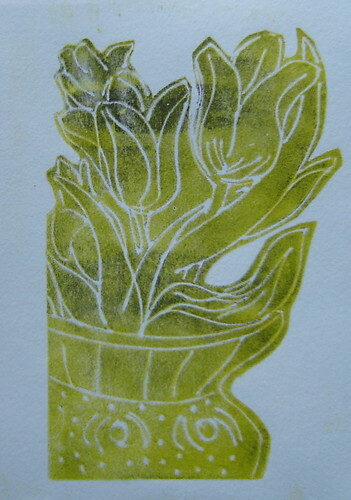 The inspiration for the prints was this cheerful pot of daffodils. I am one of the few people who actually likes the smell of oil paints –but I digress. The online course in fibre arts that I recently took used stamps in the projects so I decided to save some money and to make my own. The problem was I couldn’t find my woodcuts carving tools as they are either still packed away in a box somewhere or they didn’t make the trip here 18 months ago when we moved. Oil print on cotton rag paper. Something that I am learning in Bear River is how to improvise. When people live on reduced means and are far away from stores that supply everything, they are forced to get inventive. This kind of creativity and innovation is a skill that I didn’t develop very well growing up in the city. 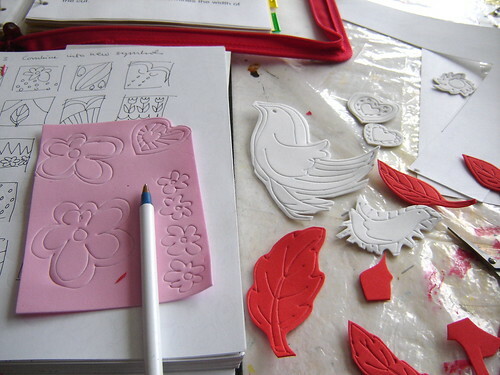 Making a print using foam. 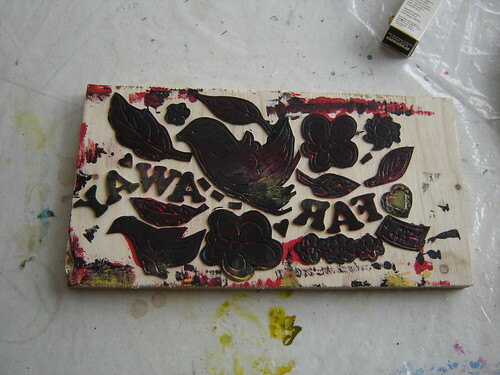 I’d like to think that the innovation is rubbing off on me now because I have figured out a great way to make a stamp for printing using readily available tools. I’m sure this is not original — probably several hundred other people have figured it out already, but it still excites me. Glue foam pieces to board backing. I’ve made a little video to show you how to do this and if you try it I hope you have as much fun as I am having! 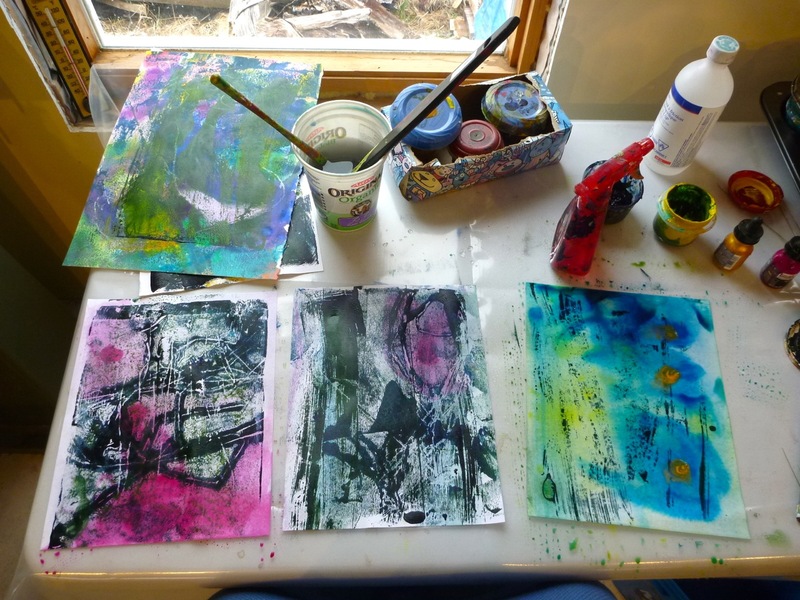 In the past couple of weeks I’ve been printmaking. I enjoy the resulting high contrast and the textures in printmaking, and I want to bring that same feel to my next painting. I added line and colour to this print. This is a story of how one thing leads to an unexpected other thing. 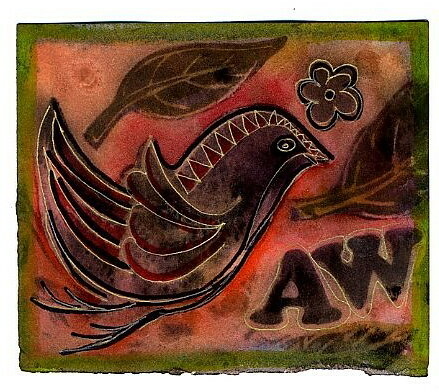 The online personal symbols class led to this printmaking experiment. In a later post, I’ll show you how it has impacted my painting. 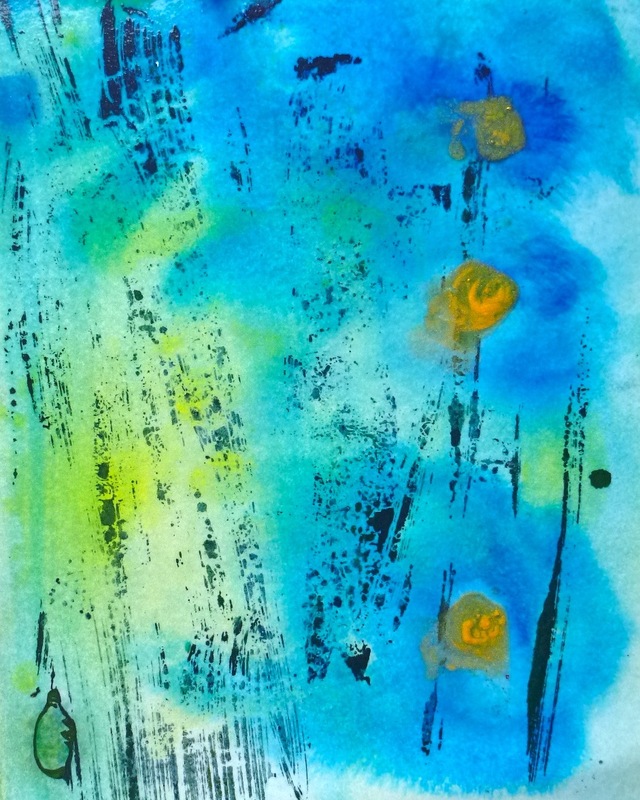 Adding watercolour to the print which is printed on watercolour paper.